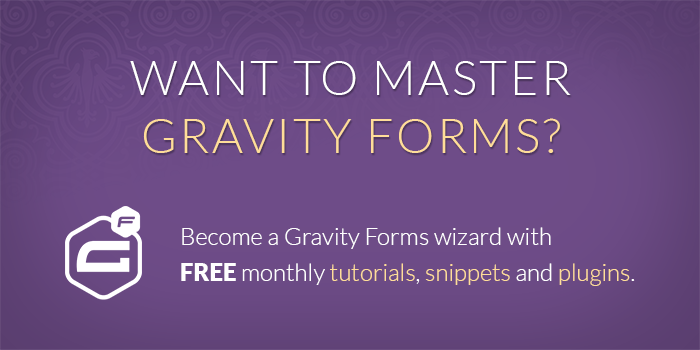 This shortcode extends the [gravityforms] shortcode, providing a custom action to retrieve the number of entries left based on the form's entry limit. October 21, 2013: Added "format" parameter which supports either a "comma" or "decimal" value for formatting the number of entries left. Looking for a way to display the number of entries submitted? We’ve got a shortcode for that too! I’ve had many users ask me about this since I published the Display Number of Entries Left… snippet back in April. I wrote a follow up article which demonstrated how to display this entry limit in the sidebar. Special thanks to Ty who pointed out this would be much better served as a shortcode. Easy peasy. Just copy and paste the code above into your theme’s functions.php file. How do I use this shortcode? Very carefully. I’m kidding. Fire at will. Just enter your form ID and the shortcode will return the number of entries left. Would you like to use this shortcode in the sidebar of your website? Check out the Shortcode Widget plugin! Hi David, How are you? Is there a way to show only a single entry? In other words I want to show the total count but I also want to show how many clicks was made on a single poll. Hi Michelle, we don’t have a solution for this one. Have a question. I want to use this for workshops with limited places (12). But 1 entry can contains 1 or more participants. So for example: 3 entries with 4 participants each can fill the workshop and I need this in the code. Any suggestions? And if this is possible an additional question. Can the count entries left also be shown in the form where the person who’s entering the entry can choice how many people he/she wants to subscribe? So, when there are for example 3 places left in a workshop and someone want to subscribes a few persons he/she sees that 3 is the maximum. Hi Jorrit, this sounds like a better fit for our Better Inventory snippet (which also supports it’s own shortcodes for showing remaining counts). Thanks! That looks promising, particularly in a situation in which the same registration form handles multiple events. Although I’m guessing it may not disallow registration of an event that’s full? If you want to get into limiting the form based on “inventory”, this is probably the preferable solution. If the events are a post type, you can populate the inventory parameter from a custom field for the current event. This would allow you to set the inventory on each event post. You’ll want to take advantage of the “field_group” parameter which would allow you make your quantity field specific to the value populated into another field. In this case you’ll want to populate that field with the post ID of your event. BTW, I reviewed Perks, and didn’t find an indication this functionality is included. This is a great idea and easy implementation, but useless with say, a registration form if it handles a series of events. Unless(!) there is a way to reset the count; then it’s truly great. I notice the author indicates in December 2015 that he could provide this solution to a commentor for payment. Any chance a simple solution for resetting could be published here to make this a more complete solution? Or perhaps there is a plugin now that includes that capability? I’d buy the plugin. HI Ray, you might consider GF Chart for displaying a filtered count. Thanks! I’m using Twig/Timber. The shortcode function only works when I put it inside TimberSite construct function where I have all the “add_filter” lines. Not sure why but it just works. Hi, urgent help needed. Is there a way to set the limited selection counter to a radio button field. Details below: Is there a way to restrict specific radio button field(s) within the form to a limited number of selections like a countdown from X to zero. After the counter (number of predefined selections) reaches zero the field should be disabled (unavailable) for all other visitors that come later to make a selection. URGENT solution needed, thank you. I want to show checkbox (checked) count after submission.. I want a shortcode for this to generate checkbox number. 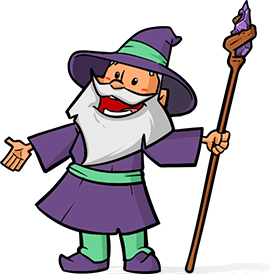 Hi GravityWiz. This works well…to an extent. It doesn’t reset. I have my forms limited to 25 entries a day, I’ve submitted on the form once and every day since the count stays at “24 entries left”. Any ideas? Thank you. Hi Joy, you are correct. Would you like to commission this enhancement? If so, get in touch. Hi, I have a dropdown with 3 LIMITED choice (5 times limit for each choice) and I would like to SHOW the number of times remaining next to each choice of the dropdown… can you help? Hi I wanted to know is there a way to have a countdown link to an entry in a gravity form? Hey Jeremy, not sure I understand your question. Could you elaborate? What I mean is there are countdown plugins – etc birthday and I wanted to know how i could have that take the date of someone’s profile automatically from a gravity form? Would it be down to the countdown plugin? Sorry, Jeremy. Still not following. Are you asking if it’s possible to use Gravity Forms as a countdown plugin or do you want to use data submitted via a Gravity Forms in a 3rd party countdown plugin? Adding a conditional of that role in functions so I can just subtract 2 instead of 1 but I didn’t find the way to do this. Adding a conditional so when a user with that role send the form the entry is added 2 times to the DB directly. I have tried to add conditional statements to the form using “quantity” but this is not related with the number of entries so is not working. I saw in the forms_model where is taking the number but I don’t really know how to apply this conditional correctly. Any idea or tip of how can I get into this? I would recommend hiring a developer to assist with this customization. Codeable.io or WP Curve are two great options. Hey Jasper, this is not readily possible with this snippet. Get in touch if you’re interested in hiring me to write this. Great work and many thanks for all the PERK’S , will be purchasing within the next week. I have a question in regard to the using the Display entries left snippets. IE. that way if limited by IP or User ID will display different amounts of entries left. I have only been able to get it to show the limits set in the gravity forms settings so far. Cheers and thanks again, awesome work. Hi Marcus, this would require some custom code. Get in touch if you’re interested in commissioning it. Will contact you you via the link. Many thanks for this snippet code. I am using it on a client site (link supplied), and am using the code to let people know how many spaces are left for a workshop. It is working great on all but one of the forms, and as far as I can see, there is no difference in the set up of this particular form. The issue is that on this one form, even though there are only 6 out of the maximum 8 entries used, the “Entry Limit Reached Message” is showing. I also added the “Display Number of Entries Submitted” shortcode and it shows the fact that there are 6 entries and not 8. I’m confused as to why that might be. Do you have any ideas?